With the passage of time, the skin progressively loses its ability to retain moisture and becomes thin, dull and dehydrated. This is because the production of the naturally occurring carbohydrate in the skin called Hyaluronic Acid, which is responsible for keeping it plump, diminishes as we age. Injectable Moisturisers is becoming an increasingly popular treatment in Perth to rehydrate and rejuvenate the skin of face, neck, decolletage and hands. 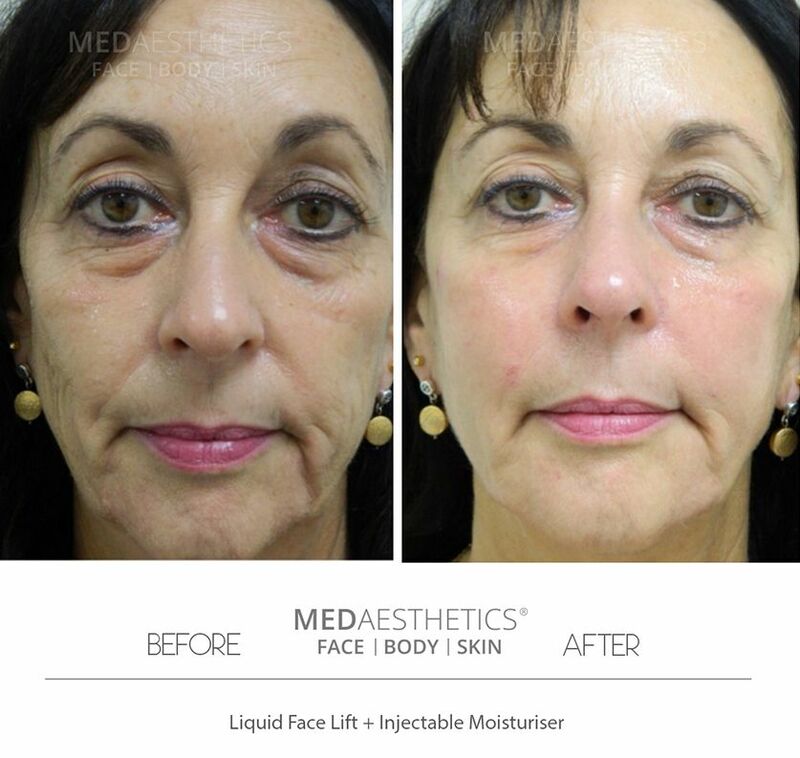 Injectable moisturisers are ultra-thin carbohydrate gel-based dermal fillers. When injected under the skin, they act as a slow release moisturiser. The continuous hydration not only makes the skin look and feel fantastic but creates an environment that allows the skin cells to function at their best. 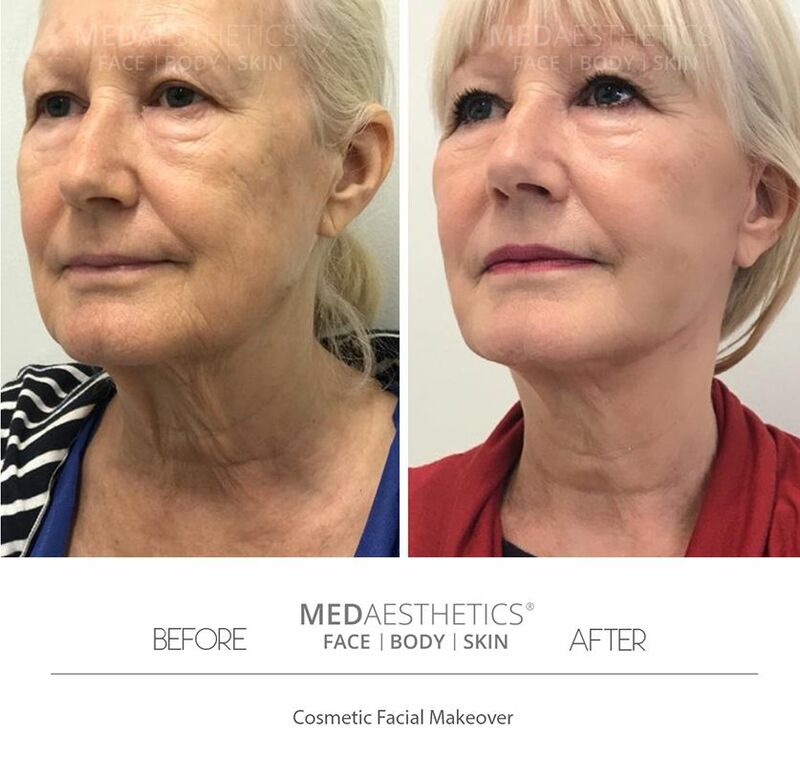 The procedure is performed using tiny needles where a small amount of filler gel is injected gently under the skin at each injection site. We use specially formulated, high strength numbing cream to numb the treatment area beforehand. This, along with the use of inhalation anaesthetic gas, makes this procedure extremely tolerable. Would there be any bruising or swelling after the treatment? Varying degree of bruising, redness and swelling can happen after this treatment in individuals prone to bruising. We recommend allowing a few days to recover after this treatment fully. What are the risks associated with this treatment? How often do I need this treatment? For the ongoing benefit, we recommend having this treatment once every three to six months. Every cosmetic procedure carries risk. Before proceeding, you should seek a second opinion from an appropriately qualified health practitioner. All images displayed on this website are the property of Medaesthetics™. Formal Consent has been obtained from the respective individual (where required) who images have been used. 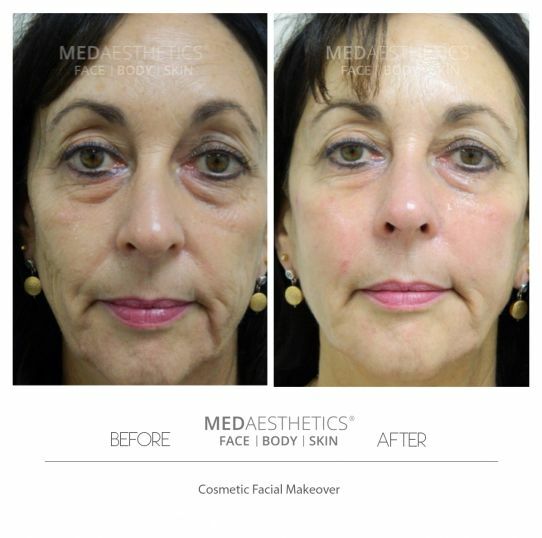 Before/After photos are of actual Medaestheicst® Patients and are for reference purpose only. Individual results may vary.